Hello Blogging world! So sorry it has been a few days, but we have been sick. Well let me rephrase that, Maggie Moe has been sick. 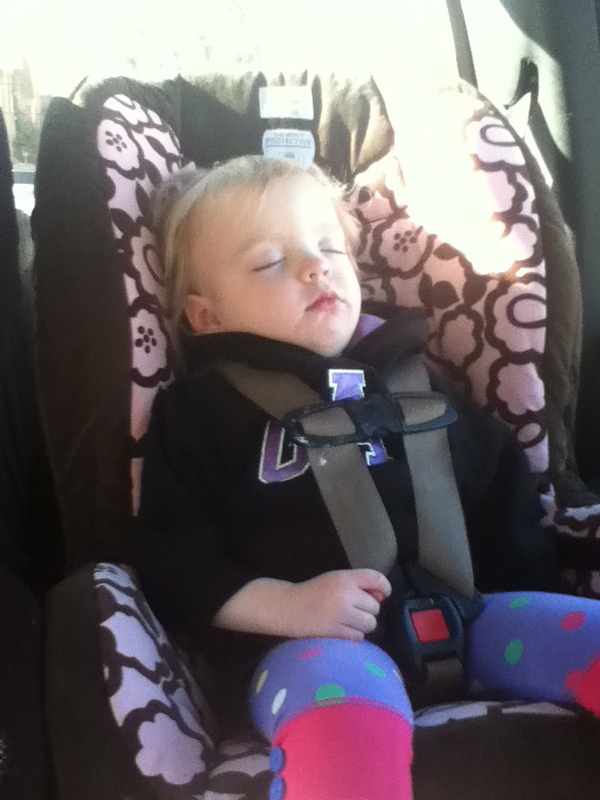 :( She has croup and it has been awful! Poor thing! This has been the first time she has been sick and really acted sick. She doesn't feel well! I did get 1/2 tsp of her medicine down her today. Success!!! Now I am praying Ben can get her to take some tonight while I am at a basketball game! Good Luck, Ben! After a really bad morning, I think she is starting to feel a little better this afternoon. 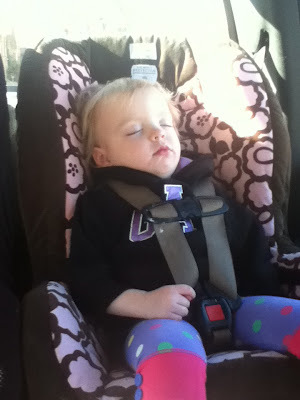 maggie fell asleep on the way home from dropping hunter off at school this morning. i picked up her new flavored meds, got a much needed cup of coffee and then sat in the truck in our driveway for about 20 minutes to let her sleep. archer was asleep, too. sweet babies!! it was pj day at school today. 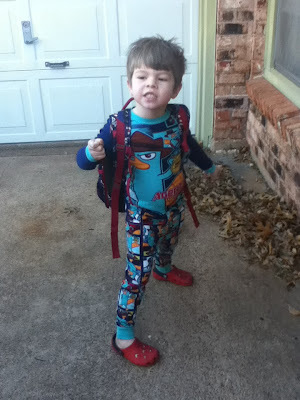 hunter had been planning to wear his perry pj's for a while now! he was super excited! he had to pose for the pic... lol! i don't know what he is doing. hunter and i have a date at the hsu basketball games tonight. go cowboys!! sorry for the randomness! hopefully we will get back into our regular routine soon!! have a great thursday everyone!